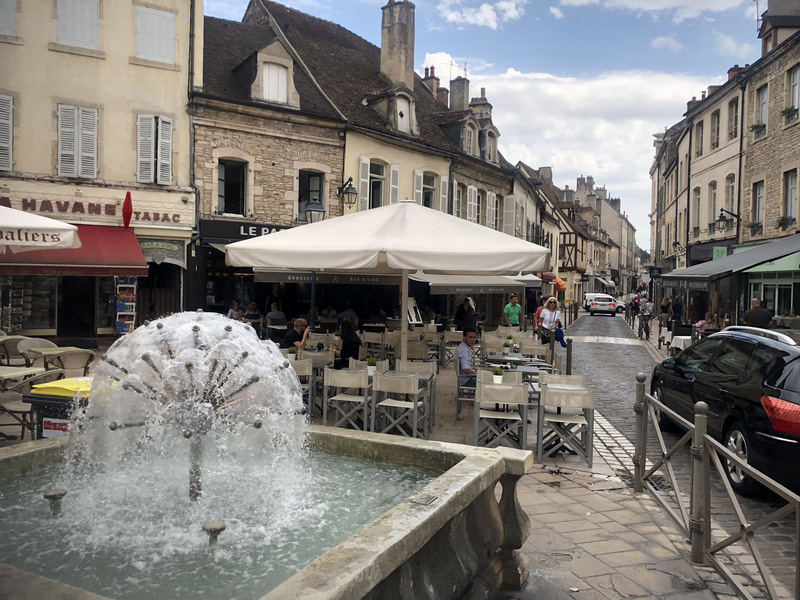 Beaune is an intriguing French village, in the heart of Burgundy Valley, 3 hours south east of Paris by car (or 2 by TGV train). 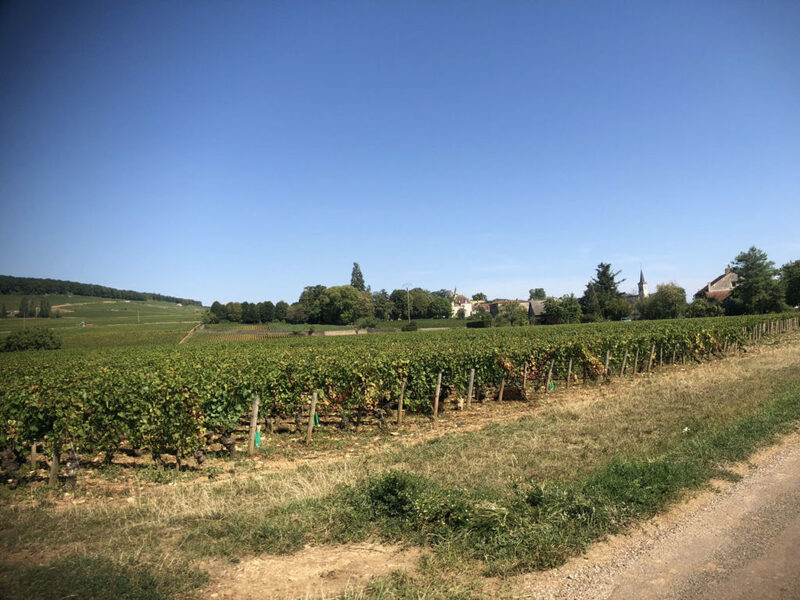 Pronounced like “bone,” Beaune is the center of the Route des Grands Cru – the wine-rich countryside of Burgundy which is dotted with classic towns and historic settings including Dijon and Meursault. 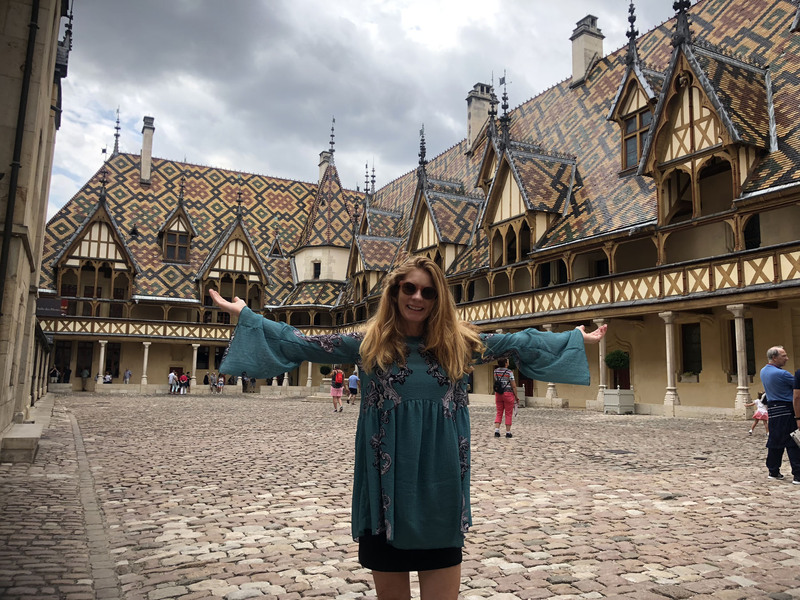 A 14th century walled city, Beaune is the wine capital of Burgundy. Much of Beaune’s centuries of history remains intact – the architecture, the Hôtel Dieu, and the palaces. 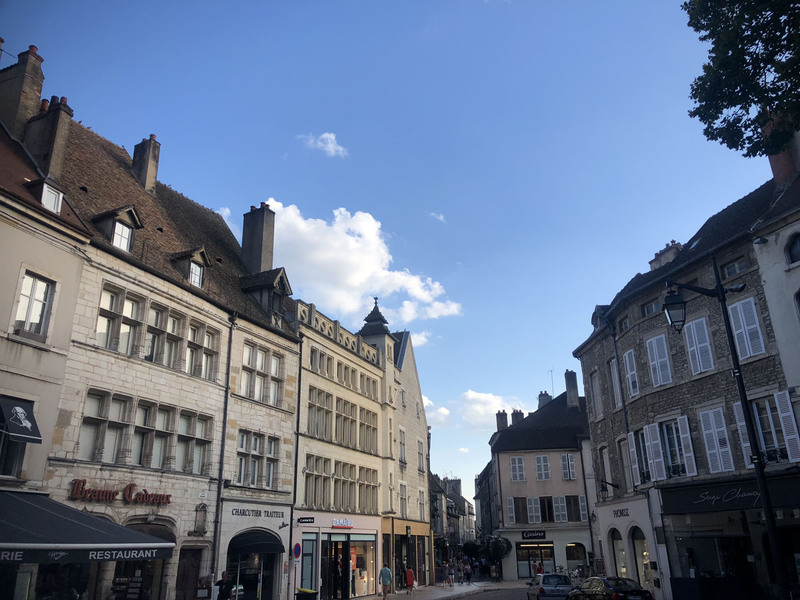 Beaune is most noted for its trademark “Burgundian tile” Renaissance roofs, and landmarks like les Halles, the 15th-century Hôtel Dieu, Le Beffroi (clock tower), and Notre Dame Church. 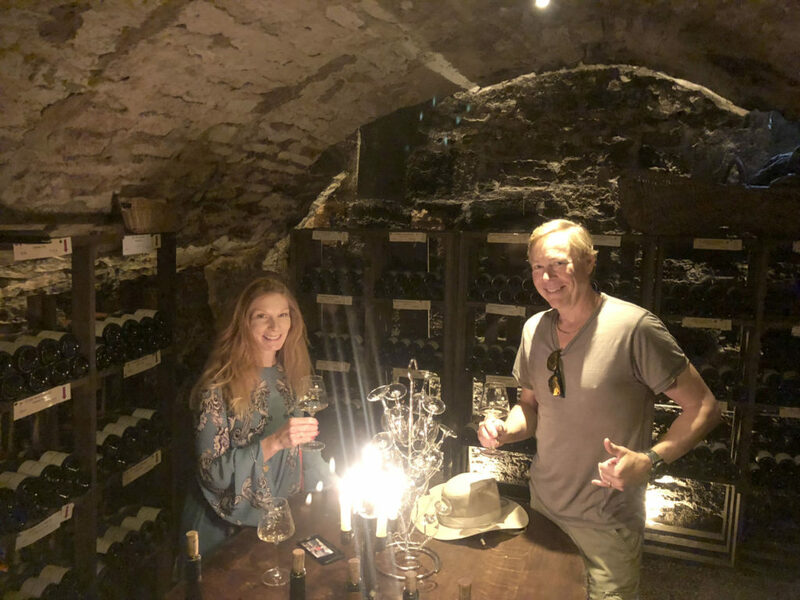 But the best of Beaune lies beneath the city of 22,000 citizens, in the miles of underground wine caves. 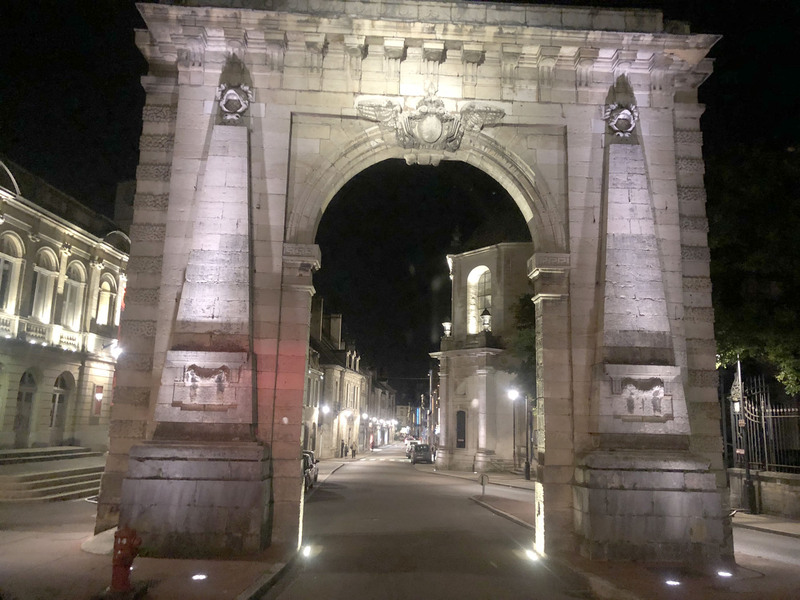 Beaune’s cobblestone streets and plazas are delightful, especially lit up at night, and just below the bustling French cafés, boutiques and wine shops are acres of ancient caves, a cool dark labyrinth of secret paths that have housed Burgundy’s wines for hundreds of years. Patriarche Pere et Fils is Beaune’s largest wine house for wine-tasting (lucky you if you tour with Jean Michel – he’s incredibly knowledgeable on Burgundy wines). 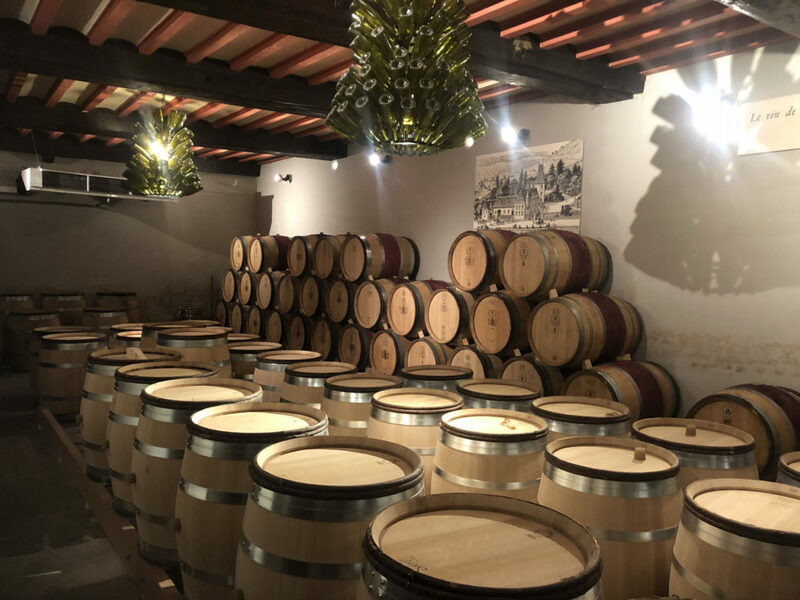 his 16th century convent is an enormous wine house since 1780, with a maze of caves of the revered Burgundy Grand Cru and Premier Cru chardonnay and pinot noir wines by candlelight, perhaps finishing with a sample of their sweet but strong brandy and crème de cassis. 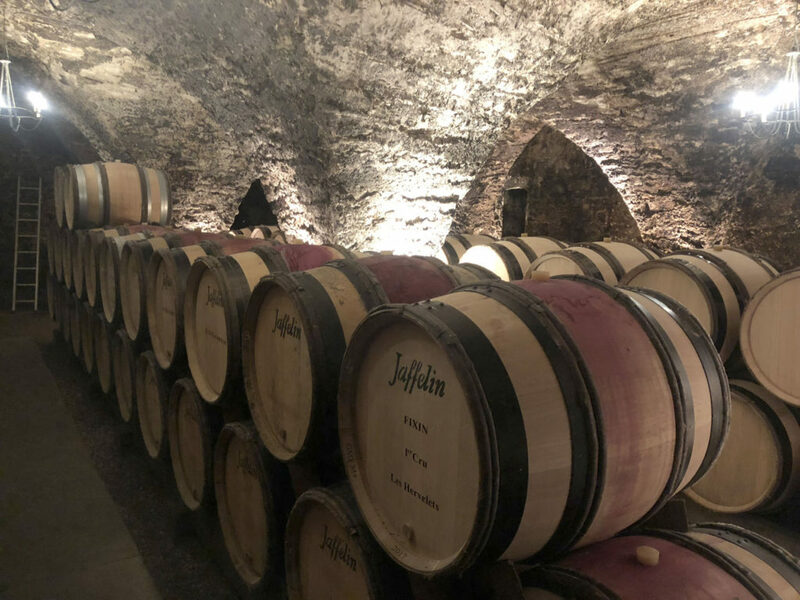 Mason Jaffelin – The oldest cellar in Beaune, dating to the 14th century, has surprisingly – the youngest female winemaker in France. 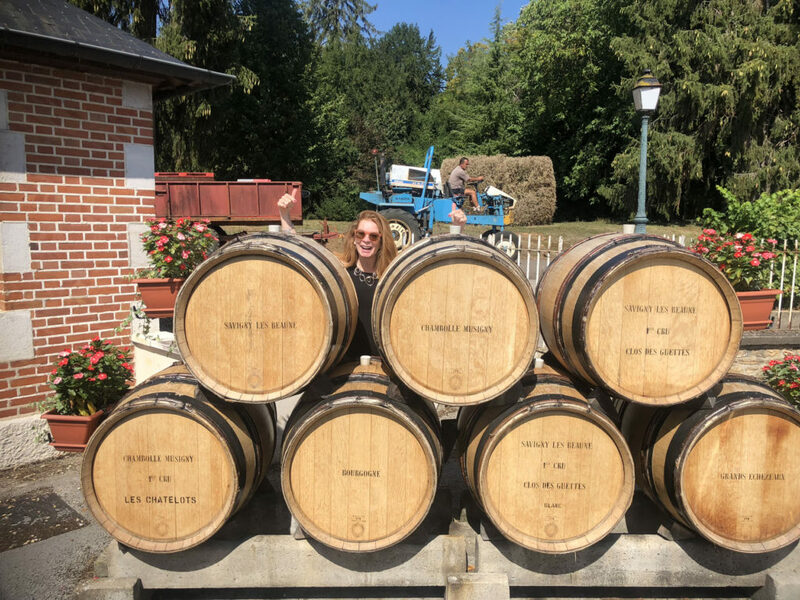 Marionette is just 34, she cheerfully met us, her hands stained purple from September’s vinification (harvest), and hinted that the 2018 Burgundy vintage has promise, like the last great batch of 2015. Tour Hôtel-Dieu, also referred to as Hospices de Beaune – This grand property was a charitable hospital for the poor. 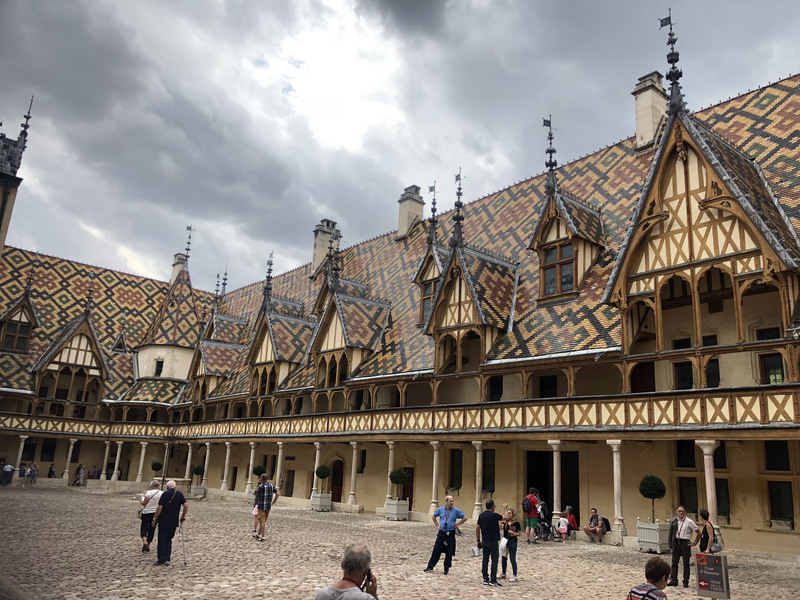 The Hôtel-Dieu, house of god, created in 1443 by the Chancellor of Burgundy Nicolas Rolin and his wife, cared for the sick with respect and dignity, with the aid of a staff of sister nurses. The tour takes you into the expansive courtyard, where the amazing polytechnic tiled roof is on full display. The hospital quarters are preserved in their rich lavish detail, a testament to the time and generosity of the Chancellor. 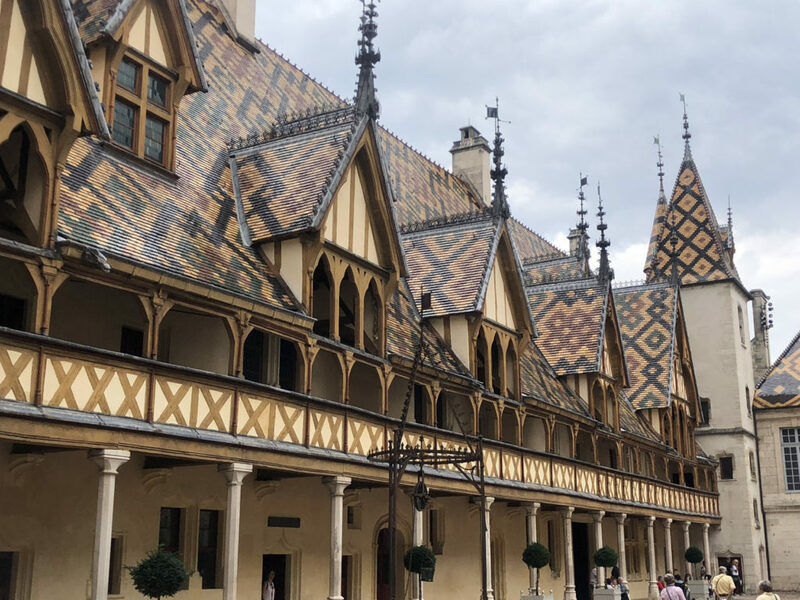 The world-famous Hospices de Beaune wine auction was created to fund the hospital. 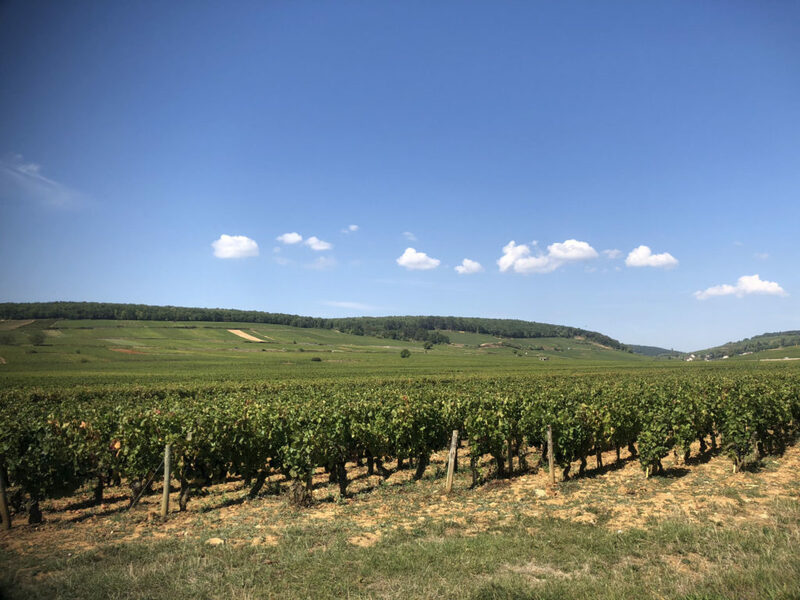 To this day, Burgundy’s wines are auctioned here each November. 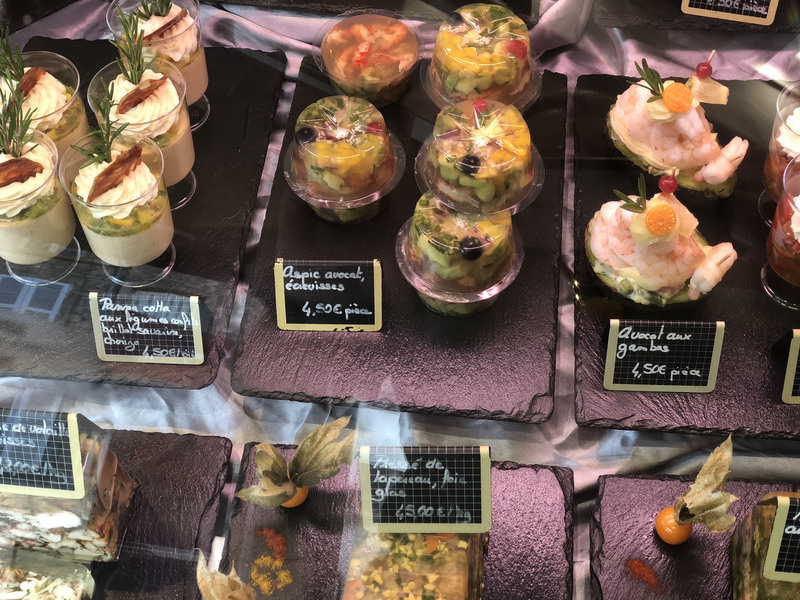 Lunch at Le Bistro des Cocottes – This lively bistro is as popular with Beaune locals as tourists. The steak tartare Cesare is lightly grilled by the owner chef – to perfection and served with a side salad, and of course Pomme Frites – French Fries. The menu has escargot and usual French fare as well. 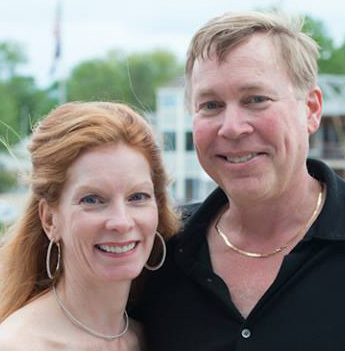 With a glass of Burgundy, it’s a wonderfully cozy place, with fun people-watching. Beaune Lights at Night – Stroll the walled city streets of Beaune, after you wine and dine, for colorful “night-lite.” Evenings, Beaune lights up their otherwise gray stone monuments and churches with a choreographed illumination of changing shades and spotlights, a dramatic display of modern technology meets ancient architecture. 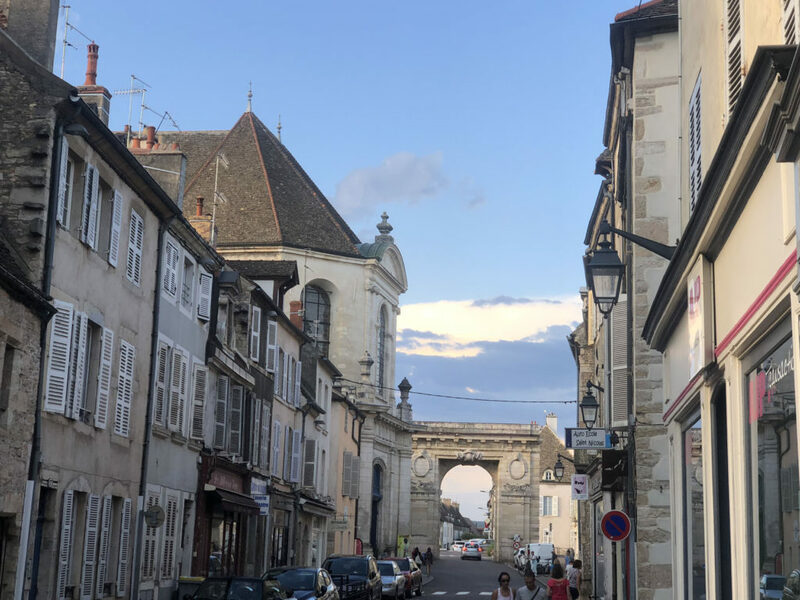 Walk the Ramparts of Beaune – Discover the pathways along the historic walls, secret walkways that span 2.5 km around ancient walls and watch towers. 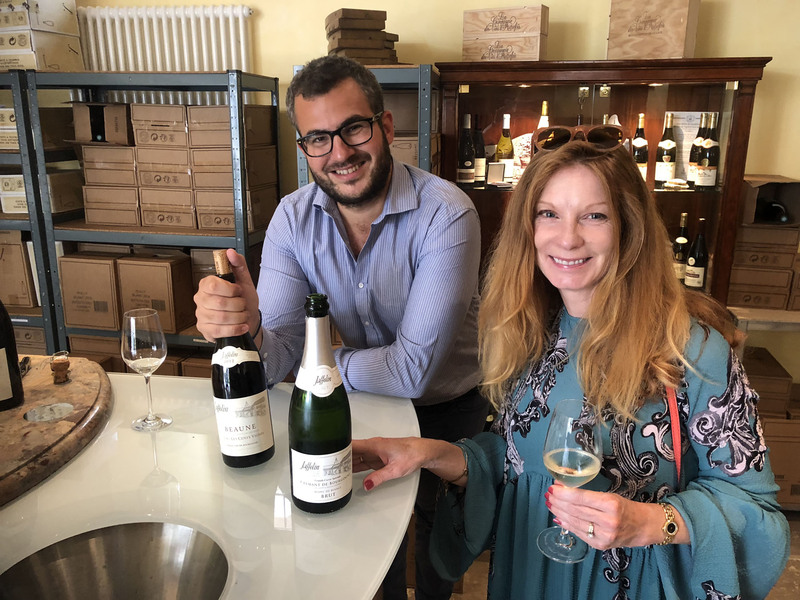 Marché aux vins – The13th century Church of the Cordeliers now serves as a market of wines, with a cellar of coveted vintages and rare bottles, including wines from the famous auction Hospices de Beaune. 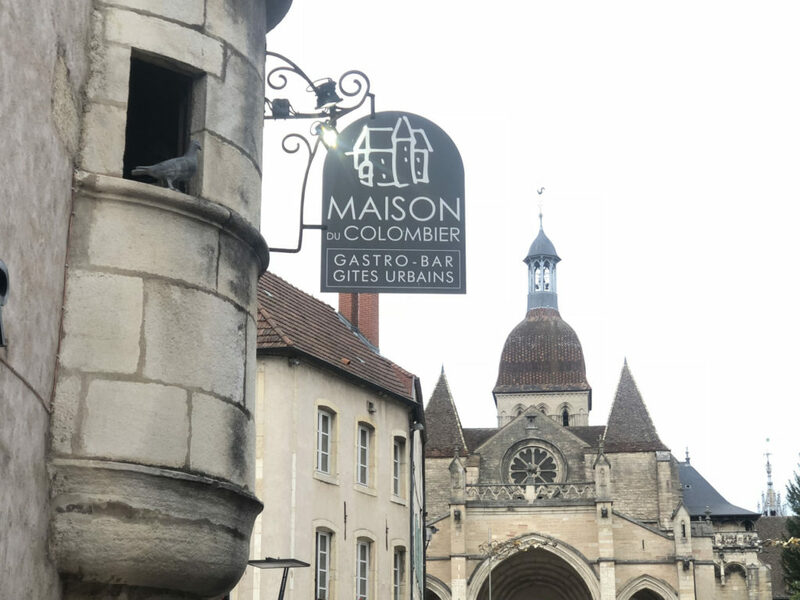 Stay at Hostellerie Le Cèdre – a lovely 5-star hotel in the heart of Beaune’s walled city. 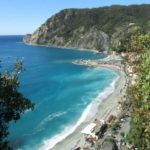 This historic hotel has all the modernity you desire, in a beautifully renovated 19th century wine-makers palace, with the classic dose of charm and service, plus buffet breakfast included. 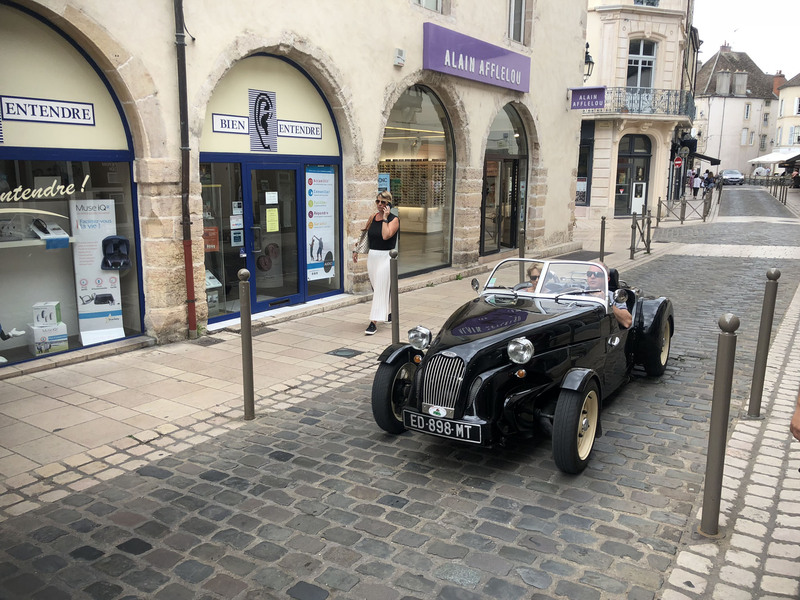 From Hotel le Cèdre, you’re steps to wine tasting and the sights of Beaune, and you have Michelin dining on sight at Le Clos du Cèdre as well – hope for a table on the terrasse under ancient trees and candlelight, and don’t be in any rush. Château de Corton-André in Aloxe Corton is a stately castle with a brightly tiled Burgundian polychromatic roof, like Beaune’s Hôtel-Dieu. 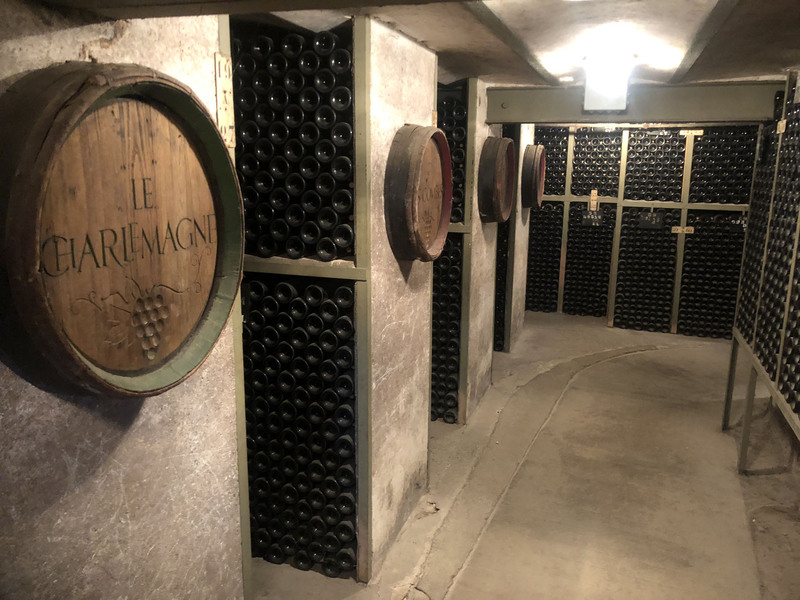 This wine chateau, 10-minutes north east of Beaune, has gorgeous sweeping grounds leading to their hillside vineyards, and an amazing wine cellar. 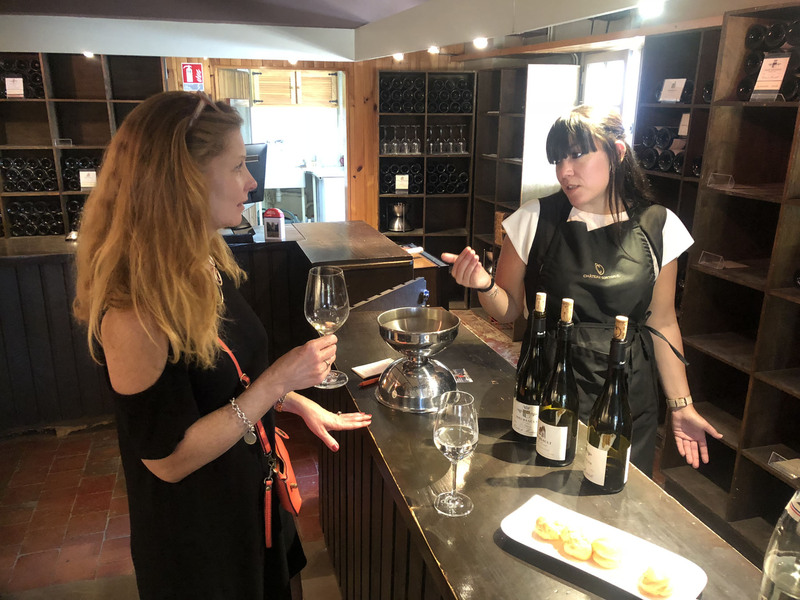 Enjoy your “degustation” tasting at Château de Corton of Chardonnay and Pinot Noir (the two grapes responsible for all Burgundy wines) served with delicious gougère – a pastry of Gruyere cheese. 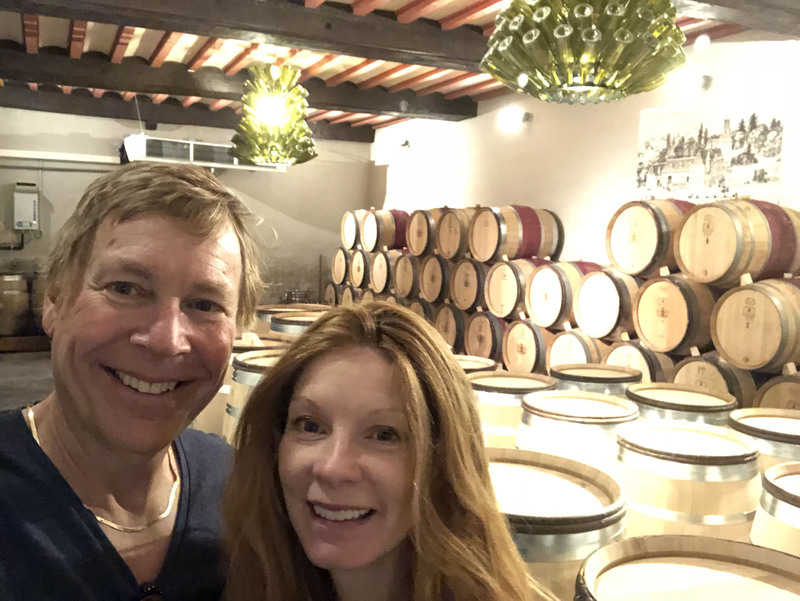 Pop in any of the other 8 wine rooms in Aloxe Corton’s enchanting village 10 minutes from Beaune. 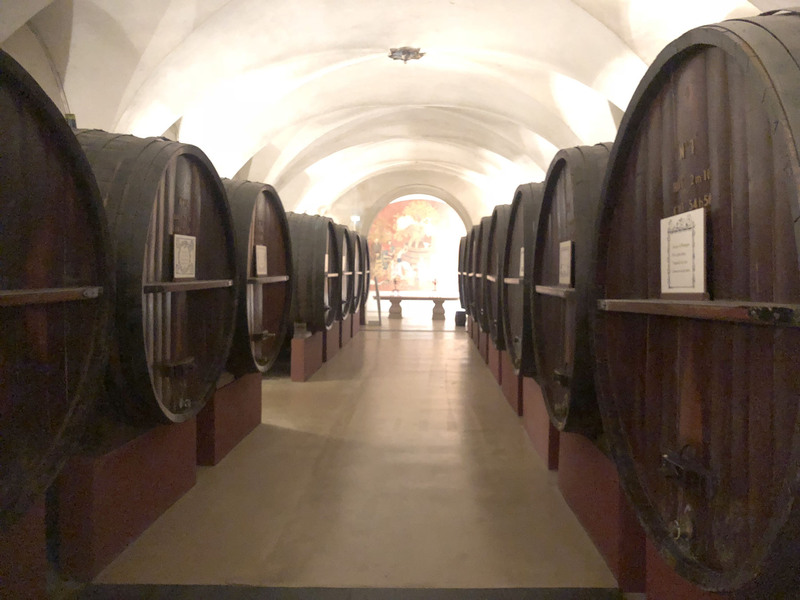 Château de Pommard is a truly grand 1726 wine estate, with gorgeous reception halls, just 10 minutes south west of Beaune. 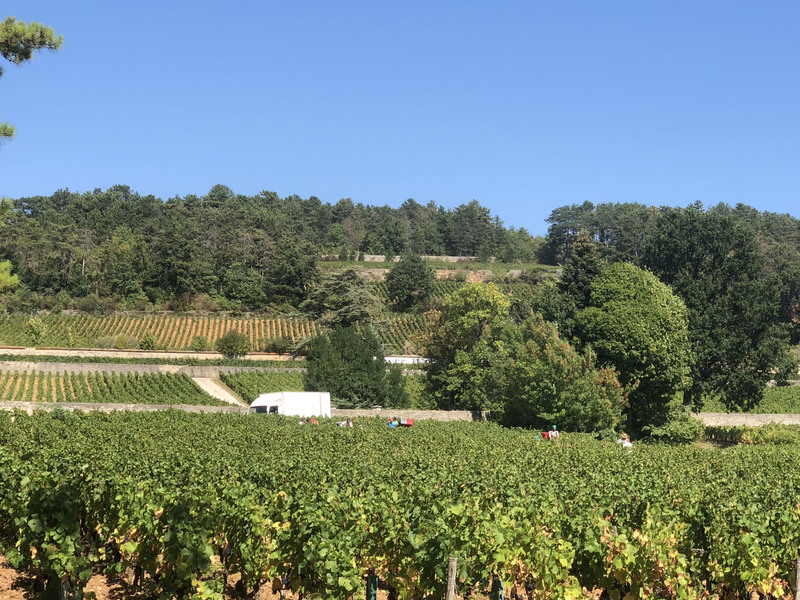 Enjoy tastings of their world famous Pommard wines at the fantastic castle surrounded by vineyards, all part of a single Clos, the largest monopoly of wine in Burgundy. 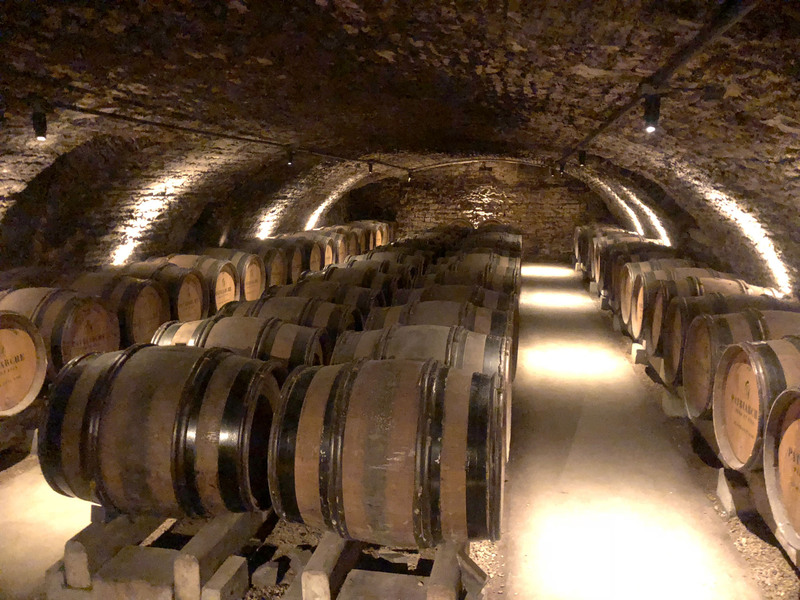 Château de Meursault offers a terrific tour of cellars, 15-minutes from Beaune, just beyond Pommard. 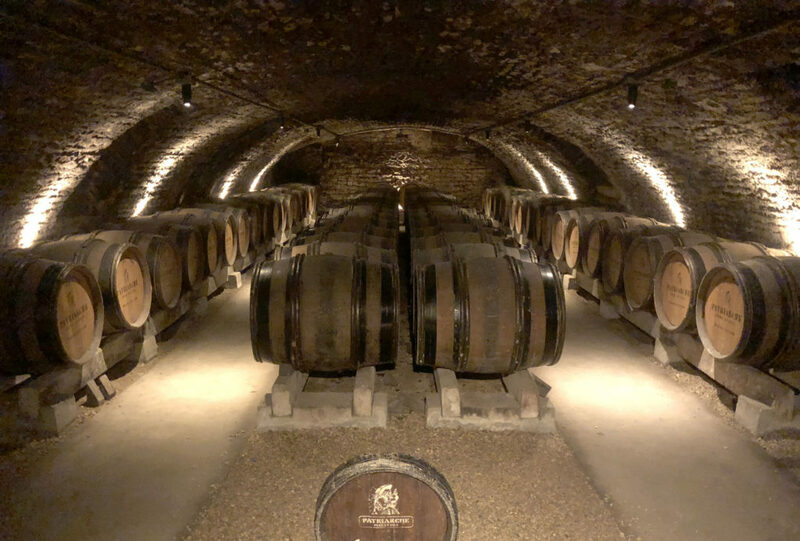 Meursault Castle’s caves date to the 12th century and contain nearly a million bottles of prestigious wines. 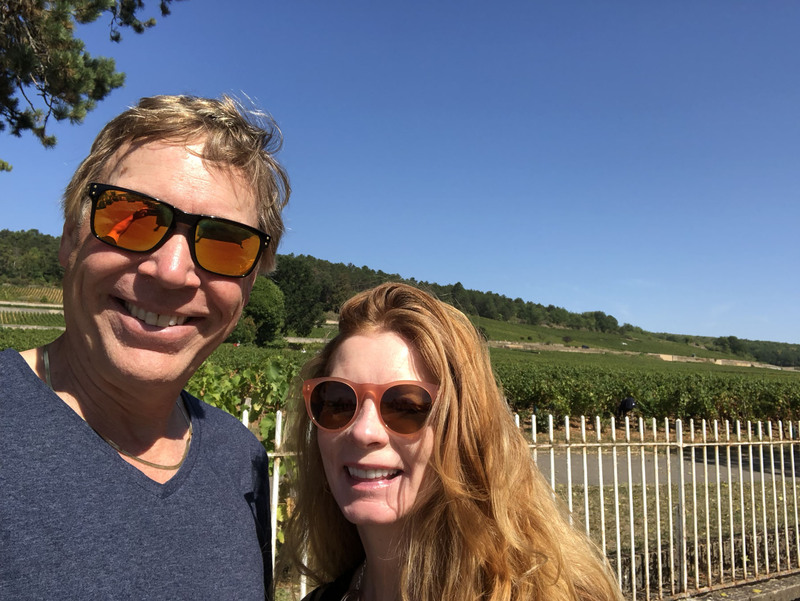 Château de Santenay is a 1342 palace of the Duke of Burgundy, Philip the Bold – so it’s a bold and beautiful property. I can imagine a wedding at this magnificent estate! 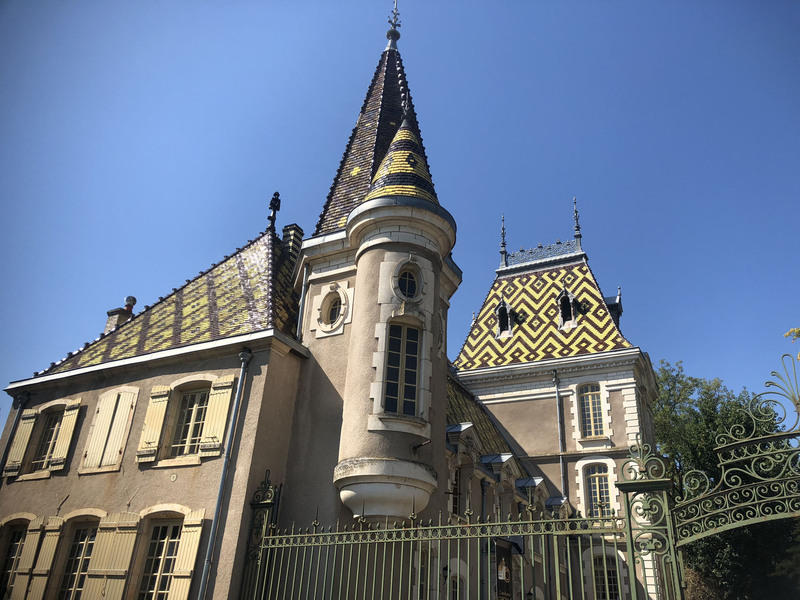 The authentic Burgundy tile roof of the palace is stunning, and yet the wine making facility is quite modern, old meets new. With 95 acres of vineyards, they produce 14 appellations, chardonnay to pinot noir, in nuances for your taste. 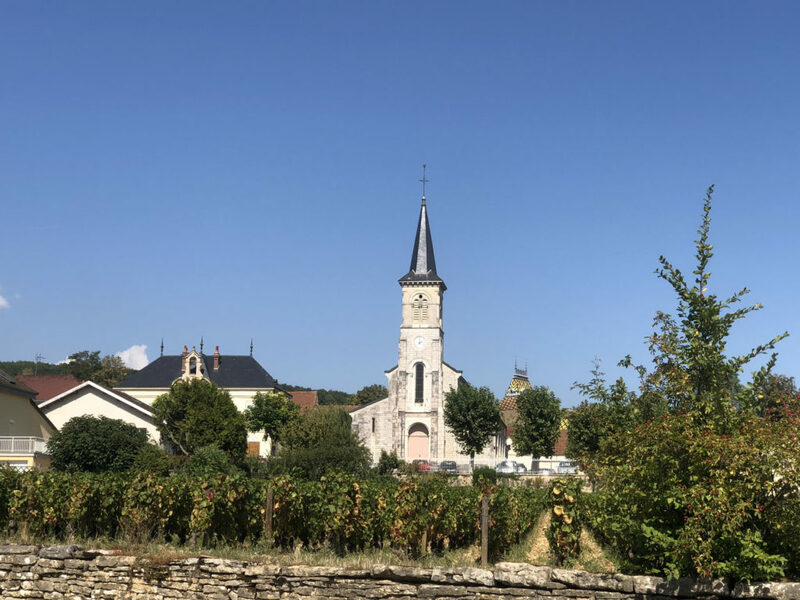 Santenay is a pretty little village 20 minutes from Beaune, worth a visit, with Château Santenay as the highlight.